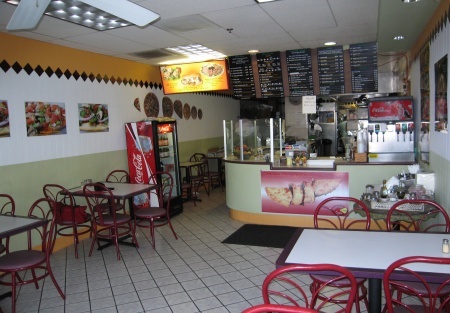 1200 sq ft quick serve restaurant right in the heart of the busiest shopping center in Woodland Hills. Rent including NNN will be slightly below $4000 for the new owner. Inside seating 27, outside seating 10 during day time and as many as you want at night. Enormous parking lot shared by all tenants, anchored by a big chain grocery store. The owner bought it in February, 2005. Owner does not anticipate the amount of work and hours demanded in an owner/operator. Decided to sell. Huge potential left untouched. This is a a Paramount Restaurant Brokers, Inc. listing.